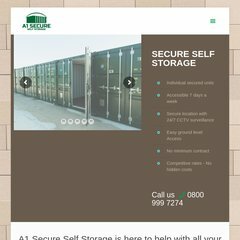 a1secureselfstorage.co.. Professional secure and private self storage containers for ..
Theplanet.com Internet Services Inc (Texas, Houston) is the location of the Apache server. Its 2 nameservers are ns208.edns1.net, and ns207.edns1.net. Its IP Number is 174.133.64.42. PING (174.133.64.42) 56(84) bytes of data.